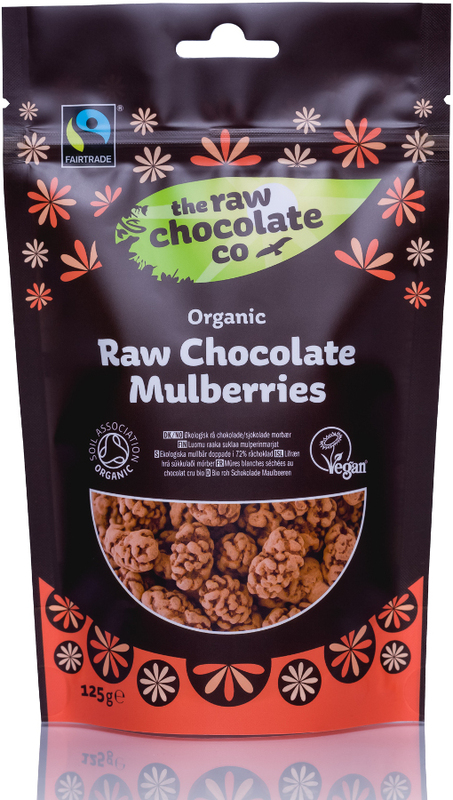 A handful of these Organic Raw Chocolate Covered Mulberries will satisfy a sweet tooth and give a sustained boost of energy at any time of day. They release their sugars into the bloodstream slowly, making them nature’s healthy, nutritious candy. Try sprinkling them on desserts or cereals, or added them to your home-baking. You could also make your own granulated mulberry sugar by whizzing some up in the food processor as a healthy, tasty substitute for sugar in recipes for flapjacks, cookies and crumbles. raw mulberries (44%), raw cacao mass, coconut palm sugar, virgin cacao butter, cacao powder. Cacao solids: 72% minimum. The The Raw Chocolate Co Mulberries - 125g product ethics are indicated below. To learn more about these product ethics and to see related products, follow the links below. 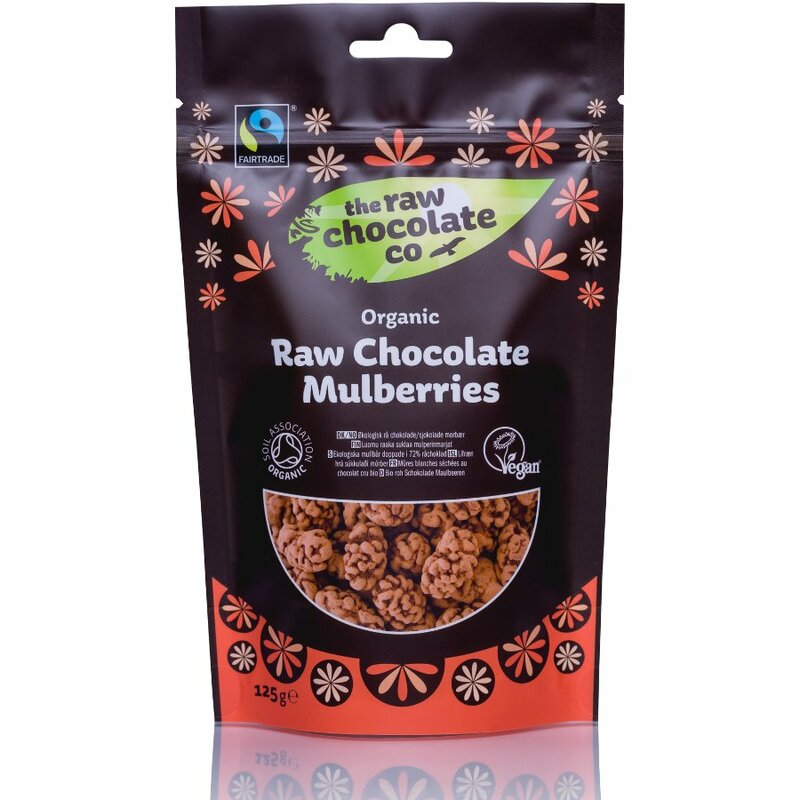 There are currently no questions to display about The Raw Chocolate Co Mulberries - 125g.